Controlled Burn​ is about learning that holding onto the past so tightly makes the present and the future meaningless. And it's about guilt. So much guilt. When Controlled Burn first popped up on my radar, I was drawn to it. The cover and the blurb just called to me. I saw so much potential in the story that I had to read it. And it was good for a debut novel. I do think that this author has seriously good potential, so I will be keeping an eye out for her future books. Controlled Burn tells the story of two college students who have never really had relationships and who are both damaged by events of their pasts, as they figure out who they want to be to each other and with each other. It's a long road, especially for Joel, who shuts down or deflects anytime conversation wanders into the past. ​​J​oel did his best to run from his past, but at the same time, he held onto it so tightly, it was like Joel of today was just going through the motions. ​​I never really understood why Joel worked so hard to keep his past concealed. Why he held onto his guilt with both hands. Joel needed counselling badly. He also needed to cut ties with his parents because they were toxic. They laid the guilt on thick for his role in Diego's death. Newsflash -- no one forces a person to read a text message. Diego made that choice all on his own, and he paid a steep price. Joel's parents should have gotten him therapy. Instead, they fed him buckets of blame and snide comments and a metric ton of guilt. Guilt for causing Diego's death. Guilt for being gay. Guilt for not sticking around to be their emotional punching bag. Guilt for not being good enough (in their eyes). It's not worth it. Do they come around in the end? Yes, or at least they were putting forth the efforts to not be such awful people, but I don't see the hurt they caused being healed overnight, and I'm not entirely sure I bought their change of heart. Paulie seemed less damaged, on the surface, but he, too, had issues that were related to his upbringing. He's not on speaking terms with most of his super-religious family. The gay is just too much for them. When he was 14 he moved out to live with his aunt, who was also a pariah. She was great and not only let him be himself, but greatly encouraged it. Paulie, because he's effeminate, has had to deal with so many assumptions and a lot of bigotry. He's been told he's not a real man, every one of his hookups, before Joel, assumed that Paulie was a bottom, and no one ever put Paulie first. Not his family, not his hookups, and not Paulie, himself. He always put others first, even when it wasn't all that healthy to do so. Controlled Burn​ had ​a lot of potential,​ I think. The writing was decent, both main characters were damaged by their pasts, and I generally liked their personalities however there are few things that just didn't ​click with me. ​The overall story seemed a bit long and repetitive to me. Joel wore his guilt like a burial shroud and he wallowed. And Diego was like a third MC. I got so tired of Diego. Especially when Joel was being intimate with Paulie or when Joel was avoiding talk of commitment. He used Diego as an excuse to hold himself back, and after a while, I just wanted him to stop being so damn selfish. I did like Joel's 'come to Jesus moment', near the end, and that he finally decided that he needed to move forward with his life. And I was thankful to his best friend, Travis, who wasn't afraid to tell Joel that he was being an idiot. 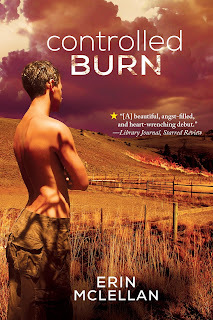 Overall, I loved the premise of Controlled Burn and how the story started, and I loved how it ended. And the rest, I would have enjoyed more if it hadn't felt so repetitive. 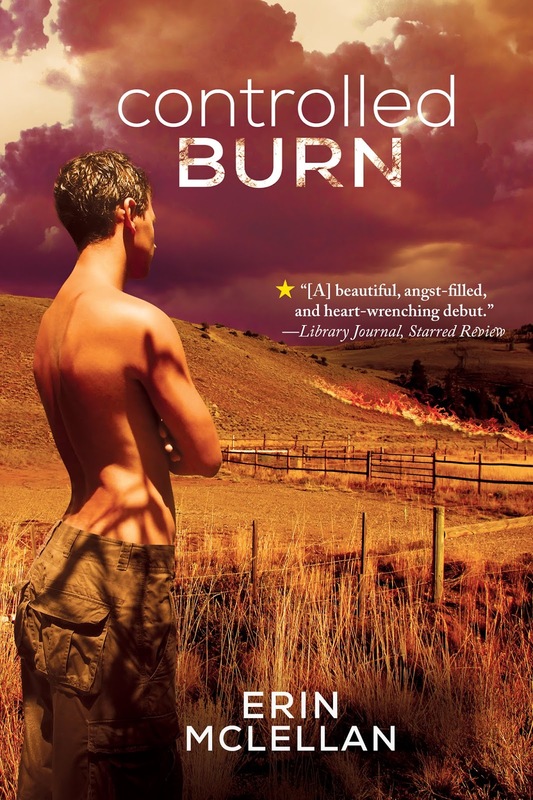 ARC of Controlled Burn was generously provided by the publisher, via NetGalley, in exchange for an honest review.